BL's Blast Off 2015 is underway! You can keep up with where this Surf Carnival and family fun caravan will be each day on the Blast Off website. Above is one grommet surfer from Day One - at South Avalon. Saturday September 20th, the first day for Volunteer Patrols on our beaches in Pittwater by surf life saving club members, broke with some sun then cold winds and rain, keeping some visiting beach-goers home. As the Season doesn't close until April 25th, sunnier warmer days will bring more people to our shores. 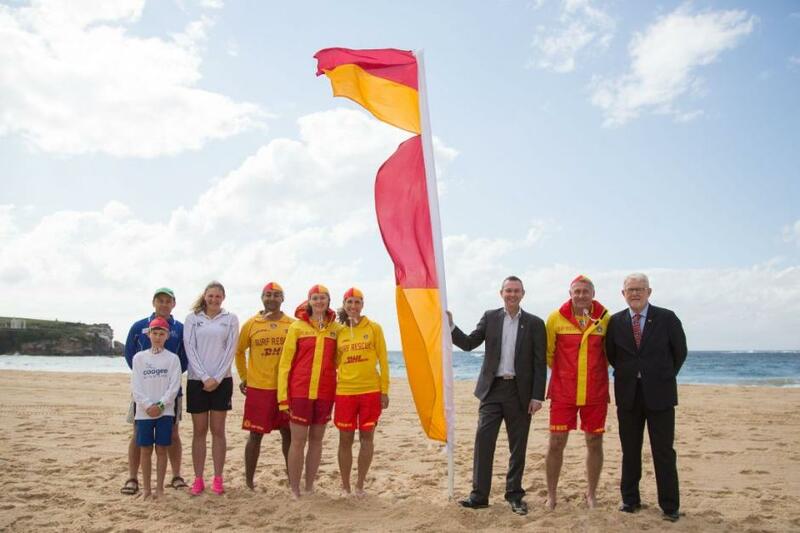 The 2015/16 Raising of the Flags Ceremony conducted on Coogee Beach on Friday, September 18th, provided a timely opportunity for Surf Life Saving NSW President Tony Haven to remind visitors to all NSW beaches about the importance of surf safety and swimming between the flags on patrolled beaches. “As an organisation our core mission is to save lives and an important part of that is to help educate the community about the dangers. We continue to deliver the message of surf safety to the community and our volunteers will be back on the front line from this Saturday and every weekend and public holiday through until April,” Mr Haven said. On Thursday Member for Pittwater Rob Stokes applauded Pittwater’s volunteer surf life savers ahead of the start of the official 2015/16 patrol season. "This is the most exciting time of the year,” Rob Stokes said, “When the red and yellow flags are being raised we know summer is just around the corner. “Surf clubs are an integral part of our community and their achievements are only possible because of the generosity and support of local volunteers. 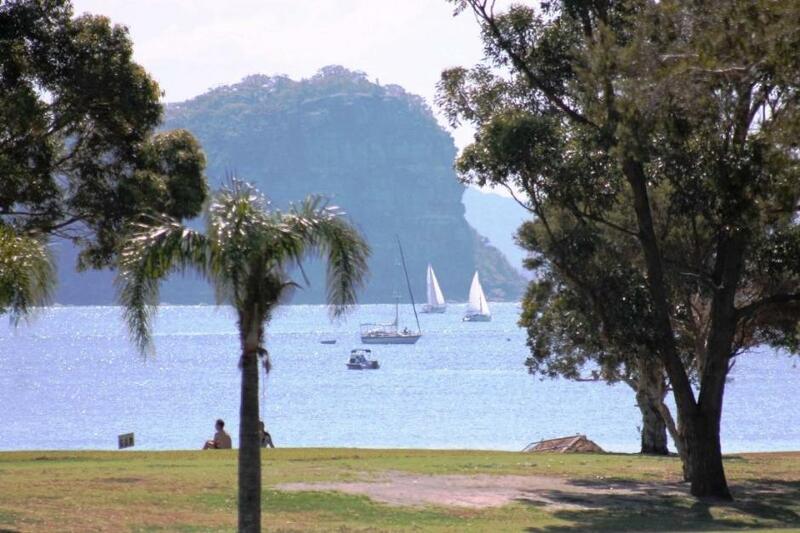 Pittwater’s beaches have an impeccable safety record – but there’s an enormous amount of work that happens behind the scenes. “Without our surf club volunteers our local beaches simply wouldn’t have the same appeal. This is also a really important time of the year for all beachgoers to be reminded of the potential dangers associated with the surf. "Conditions in the surf are constantly changing – so it's vital we all follow the directions of surf life savers and keep an eye out for others. 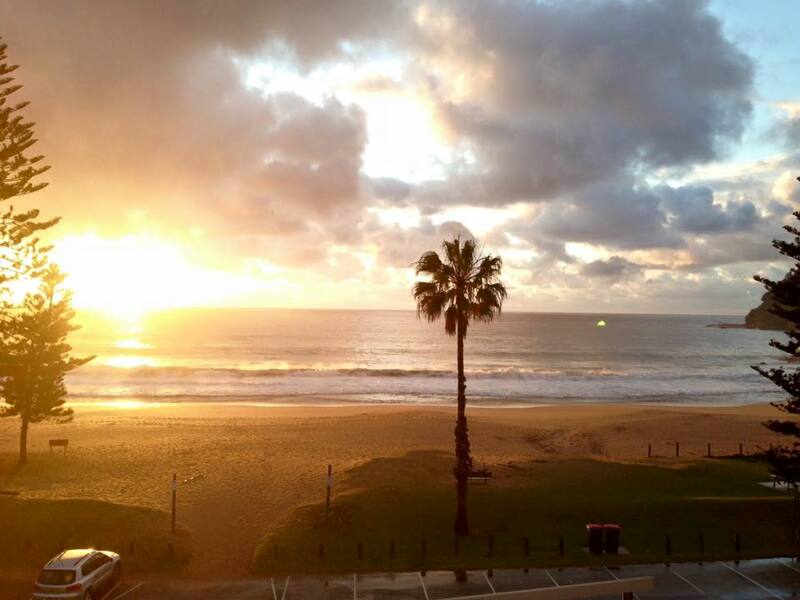 "Thank you to all our incredible surf life savers and best of luck for the season,". 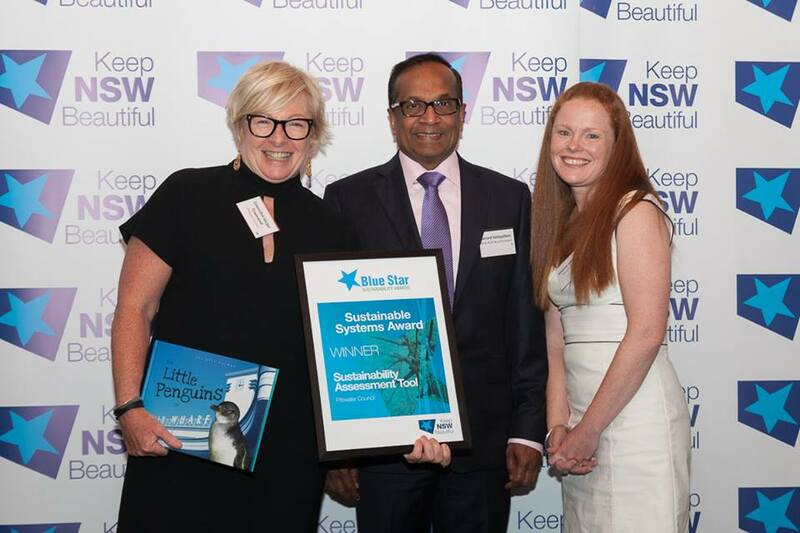 Pittwater Council was winner of a top award at the Keep NSW Beautiful Blue Star Sustainability Awards held on Thursday night in Manly. The gala presentation at the International College of Management, Sydney saw Council win in the Sustainable Systems category for its Sustainability Assessment Tool. Pittwater Council Mayor Jacqueline Townsend said she was thrilled that Council had received recognition for this important sustainability initiative. “Council developed and implemented this robust and practical assessment tool to encourage a culture whereby sustainability is embedded in its everyday operations,” said Mayor Townsend. “The tool uses quadruple bottom line criteria for all major projects, from the design of a new skate park to helping shape our active transport strategy,” she said. 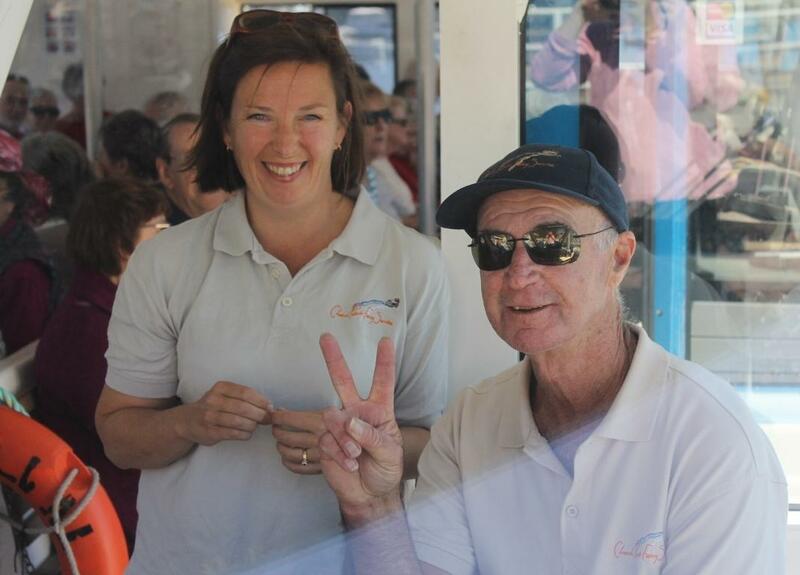 Church Point Ferry Service - Penny Gleen and Michael - the Ferry Captain. On Wednesday we hitched a ride aboard the L.Duck with the happy vibrant folks from Glenhaven 'Life' style village, as the ladies told me they like to call it, and went on a Scenic Cruise all around Scotland Island, Little Lovett Bay, Lovett's Bay and Elvina Bay before the ferry headed back to Church Point Wharf. As this cruise is in sheltered estuarine waters you won't experience any of the swell which may detract from enjoying similar rides in not so sheltered coves. Along the way Penny Gleen, owner of the Church Point Ferry Service, shared insights into the wharves we saw and some history of the island and the pristine offshore bays. We're not going to spoil the tour by sharing all Penny spoke of for those who want to get a group together themselves and have a splendent hour on our offshore waters, we will, however, share some of the beauty we saw along the way as this week's Pictorial. You can 'study up' prior to embarking by visiting stories we've already run - such as Andrew Thompson's cargo schooner.... and where she was launched from... or where Scotland Island's toppermost reserve stems from - the Scotland Island Community website is a good source of information, as are Issues the Pittwater Offshore Newsletter with 'History Corner' records. 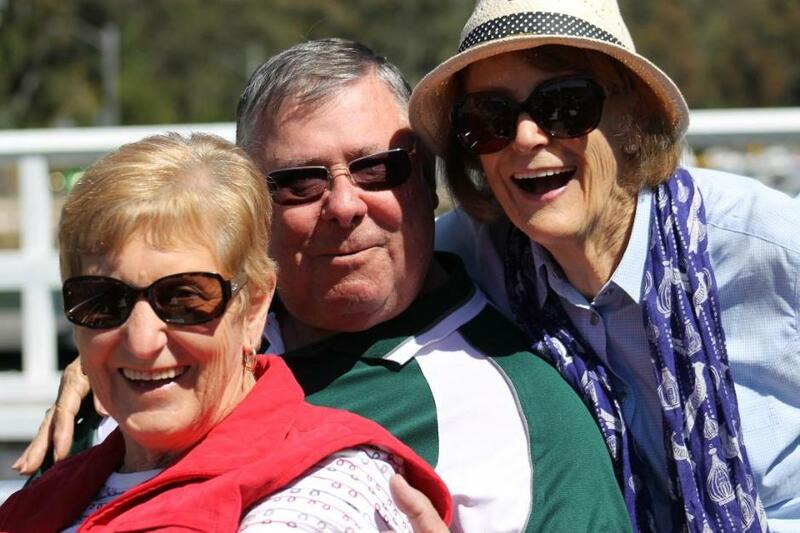 Some of Pittwater's delightful visitors from Glenhaven 'Life' style village - A J Guesdon picture, 2015. 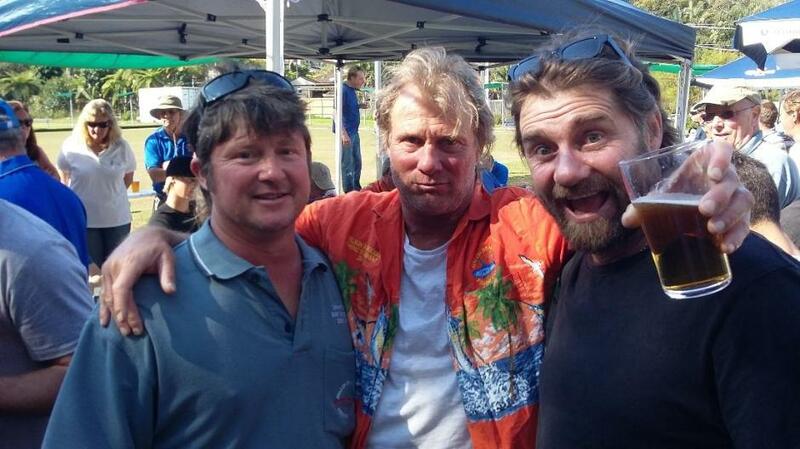 Three Happy Avalon Beach Fishermen: L to R: Paul Sinclair, Andrew Wiseman and James Lloyd at host club for 2015 - Narrabeen RSL. The Newport Arms Fishing Club, Narrabeen RSL Fishing Club and Avalon Beach RSL Fishing Club held their annual 3-Way Competition last weekend with the weigh in on Sunday at host club for this year, Narrabeen RSL. These three fishing clubs are family orientated, with an emphasis on getting yoiung fishers outdoors to enjoy our beautiful beaches and waterways, have regular club trips away together, and adhere to NSW Fisheries fishing rules and regulations. The Spring Equinox rises on September 23rd this year, Wednesday, at 18:20 (6:20 PM AEST or 5:52 PM ACST). To Celebrate - an interview with Pittwater gentleman Ian White, 5th generation Naturopath and Founder of Australian Bush Flower Essences, on his recent visit to the ruins of Saint Hildegard von Bingen, first recorded European to have used Flower Essences, on what Australian Bush Flowers are out now and why a walk in the bush is so therapeutic. 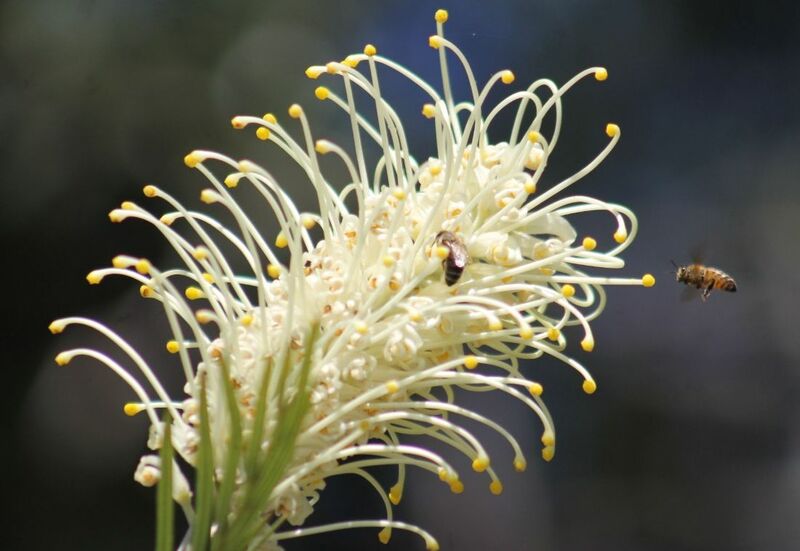 Visit Spring Equinox 2015: A Wonderful Time To Walk Among Australia’s Bush Flowers for more Springtime Inspiration! Lion Island through Palm Beach Golf Club Trees/Spring 2015 - A J Guesdon picture.